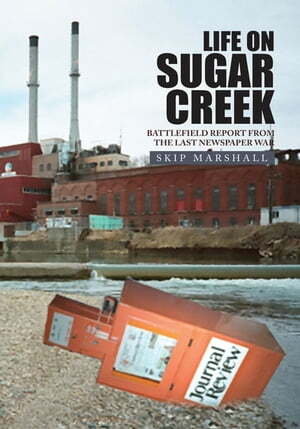 Collins Booksellers - LIFE ON SUGAR CREEK: Battlefield Report from the Last Newspaper War by Skip Marshall, 9781462824458. Buy this book online. Newspapers are dying. Giant media companies as well as smaller print media companies are closing, threatened, or in bankruptcy. What has happened to the American newspaper? In his new book, Life on Sugar Creek, Skip Marshall draws comparisons between large and small market newspapers and speculates that years of intransigence and arrogance have resulted in the current crisis. Anyone who has had any sort of relationship with newspapers will enjoy reading this warts-and-all look at a business that the author predicts will not survive the current generation. Dry humor and biting criticism alternate and weave together the story that unfolds in a small town in Indiana where the last American newspaper war is being fought.